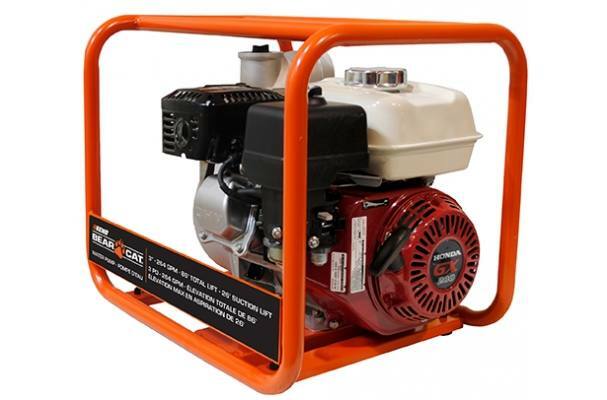 ECHO Bear Cat's WP3264, 3 inch de-watering pump, features a Honda GX200 engine. Honda GX engines are covered by a 3-year consumer or commercial warranty. ECHO Bear Cat water pumps constructed for rugged durability and are compact and lightweight, built with the commercial operator in mind. The heavy-duty tube steel frame provides the pump and engine with maximum protection, ease of handling or transport, and safe operation.